Special attention is taken when providing moving and storage services . Without a doubt, moving day is a stressful time. When you are busy on the phone settling your utility bills or activating new bills, or showing the cable man where to place the television cable, Rainbow Movers are here to take care of everything else. As one of the best movers in Norfolk, we do a wide range of local moves including single-family homes, apartments, condos, dorms, retirement communities, and more! Our experts are trained to ensure your belongings are protected and remain free of any damages at the end of the move. Feeling stressed about packing your appliances before a move? We also have you covered with our full range of packing and unpacking services. Our Norfolk employees work hard to ensure each task is performed correctly. Every move is like a snowflake. No single move is the same as the other. We at Rainbow Movers understand that our customers have varying needs and different equipment. You have to be prepared. Blankets, tools, Straps, muscles, and most significantly an excellent attitude is what our employees bring to every job. Over the last 75 years, we have grown to be one of the best movers in Norfolk. We are dedicated to providing better services to our clients even in the case of long distance moves. If you need moving quotes for long distance services, our customer care is available to assist you with such matters. With our advanced long-distance services, the experts who load your items into the truck also make the drive and unload them at the new location. Moving to a new house, apartment, or condo requires a great deal of planning and packing. Fortunately, our Norfolk moving company can help. Rainbow movers offers packing services such as full-service packing, fragile only packing, and self pack so that your precious belongings make it safely to your new space. You’ll also have a moving consultant that will help you design a custom moving plan and begin the packing process. 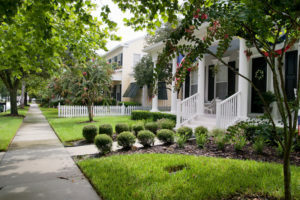 Learn more about our Residential Moving Services. Our Norfolk moving company is an invaluable resource for corporate moving. Whether you’re looking to relocate an employee or group of employees, move your company, or transport some equipment, Rainbow Movers will exceed your every expectation. We are dedicated to ensuring that your corporate moving plan does not disturb the productivity of your business. Learn more about our Corporate Moving Services. If you’re facing an international move, Rainbow Movers is your best bet. Since 1918, our international specialists have assisted both families and businesses and helped them relocate across the globe. Our specialists can help you with every step of your international move including pre-move planning and clearing customs at your destination. Learn more about our International Moving Services. If you’re faced with staging a home, remodeling that new home or business, or just need storage, Rainbow Movers is pleased to offer secure, climate-controlled storage so that your belongings can stay safe at all times. Our facility is equipped with traditional vault storage units for household possessions and specialized units for fine art, antiques, and sensitive electronics. Racked and palletized storage for commercial needs is also available. Learn more about our Storage Solutions. You can also get moving quotes for special kinds of moves. We understand that there are some special and unique kinds of moves, so we are able to tailor our services to handle any new and challenging tasks. Irrespective of where you are moving to, our dedicated movers in Norfolk understand what it means to make a move successful.  No matter how challenging or unique the relocation might be, Rainbow Movers has you covered. Get an Estimate or Schedule a Move Today! Your call is important to us! If you require moving quotes for storage and packing services, feel free to contact us at 508-528-4111. We can also provide an “on-site” estimate where we come directly to your location to determine the kind of services you will need and the estimated cost for such services.